Scientific research and its discoveries produce society’s intellectual capital. At the same time, the structure of research funding (stability, term, breadth) can be a major determinant that drives the organization and scale of an investigative team, as well as potential collaborations. 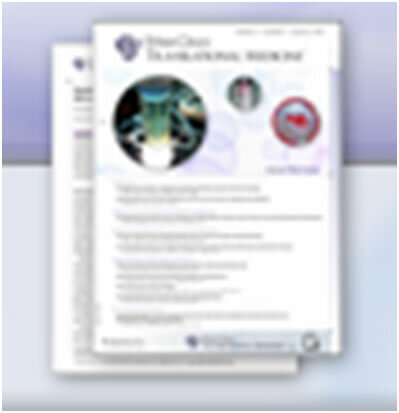 In analyzing an optimal research funding structure, one would ask: can the research team carry the combined financial burden of the basic researcher that identified the therapeutic candidate, the toxicology expert, the regulatory expert, and the clinician committed to implementing the Phase I trial, or is the team limited to only the personnel that can incrementally move the research through the toxicology clearances? 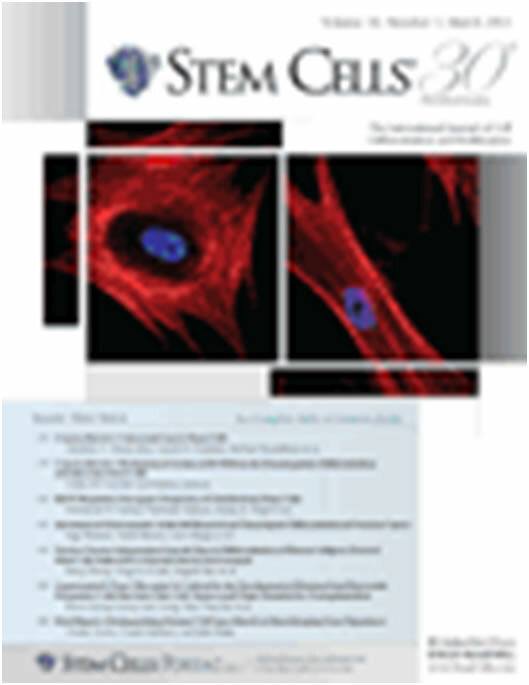 In this issue of STEM CELLS, we are proud to introduce a year-long series in which we profile many of the individuals and groups across the world whose financial support and advocacy has been so critical in advancing stem cell research. 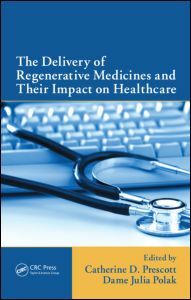 We begin the series with commentary by Robert Klein and Alan Trounson, both of the California Institute of Regenerative Medicine (CIRM). 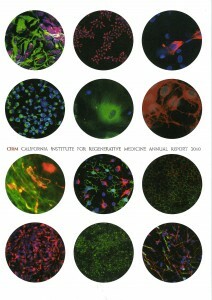 California’s Proposition 71 created CIRM in 2004 by authorizing the state to issue $3 billion in grants, funded by bonds, over no less than 10 years for all stem cell research (with a priority for embryonic stem cell research) and other biomedical research. 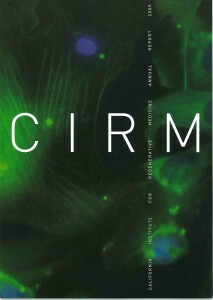 CIRM has become a model worldwide for what can be accomplished when government and society team up to support a common goal — in this instance, alleviating suffering through stem cell research and therapies. 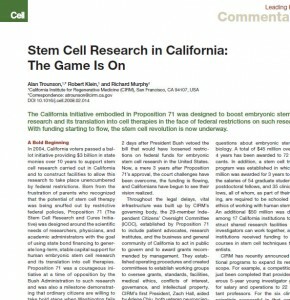 California’s Proposition 71 has made possible the development of a new model for government funding of stem cell research and therapy development. 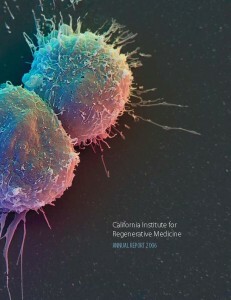 The $3 Billion California Model proposes that with world-class scientific talent and facilities, the funding source redefines the scope, complexity, and time frames for medical discoveries, and the application of the medical technologies discovered and developed. The funding must be protected from pressures and distortions to the scientific discovery process. Robert N. Klein, J.D. and Alan Trounson Ph.D. 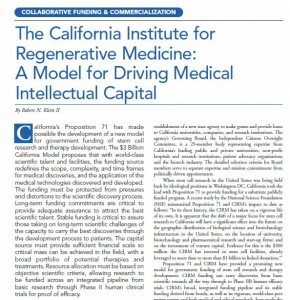 The California Model is an extraordinarily promising new paradigm for government funding of stem cell research and therapy development. It is structured to carry the research projects’ funding all the way to a Phase II human trial efficacy demonstration. While this Model demonstrates numerous strategic advantages, its ultimate optimization in safely and expeditiously advancing stem cell therapies to patients is currently being tested in programs to integrate private capital and biotech enterprises with non-profit research institutions. All of the performance milestones of the California agency and its scientific portfolio are extremely positive. A primary objective of Stem Cell Research is to develop interventionist therapies that can substantially reduce or eliminate the long-term cost of chronic therapies and complications for patients, their families, employers and the State.
. . . The future of mankind is in your hands, California. A gateway to medical discoveries and therapies has opened. Let us support and defend this opportunity for our children’s lives. Indeed, our lives may depend on the discoveries born from the sacrifice and commitments of California’s scientists and physicians. David Baltimore, Ph.D.; George Q. Daley, Ph.D.; Robert Klein, J.D. ; Martine Pera, Ph.D.; James Thomson, V.M.D., Diplomate, A.C.V.P. ; Alan O. Trounson, Ph.D.; and Irving L.Weissman, M.D. The basic tools for these discoveries will include the “gold standard” embryonic stem cells that remain the benchmark for assessment of pluripotency, or the ability to develop into all the fully functional cells of the body. The critical role of hESCs has been recognised by all the primary world scientific bodies, including, in the U.S., the National Academies of Sciences (advisors to the nation on science and engineering). 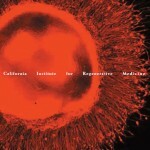 The California Initiative embodied in Proposition 71 was designed to boost embryonic stem cell research and its translation into cell therapies in the face of federal restrictions on such research. With funding starting to flow, the stem cell revolution is now underway. We celebrate 2008 and the progress, but remain vigilant, focused on the mission, and cautiously optimistic, as the speed of scientific and clinical advances in stem cell research provide extraordinary breakthroughs and discoveries. 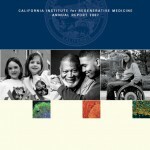 For families suffering from chronic disease or injury, Proposition 71 has brought hope; for medical scientists who have dedicated their lives to reducing human suffering, it has been an inspiration; and for patient organizations, it created a paradigm change in the structure, scope and term of medical research funding in America. 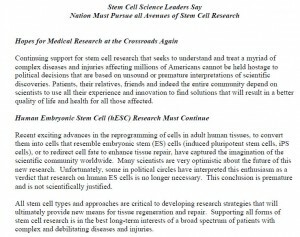 Our overall organizational mission is to support and advance stem cell research and regenerative medicine under the highest ethical and medical standards for the discovery and development of cures, therapies, diagnostics and research technologies to relieve human suffering from chronic disease and injury. One of the ways in which we remain connected to our primary constituency, patients, is through a presentation series called “Spotlight on Disease.” In cooperation with the non-profit organization, Alliance for Stem Cell Re­search, we have organized presentations before most ICOC meetings so that ICOC Members, CIRM staff, and members of the public are able to learn more about the state of stem cell science and the experience of patients within a particular chronic disease or injury. Is investment in affordable housing merely a social objective or can it compete well against other, more traditional investment vehicles? Affordable housing offers stability, predictability, and a reasonable yield—insulated from many traditional real estate risks—for value-added debt and equity investment opportunities. Specifically, bond-financed rental affordable housing, the focus of this article, can minimize risk and create large, medium- to long-term quality income streams.